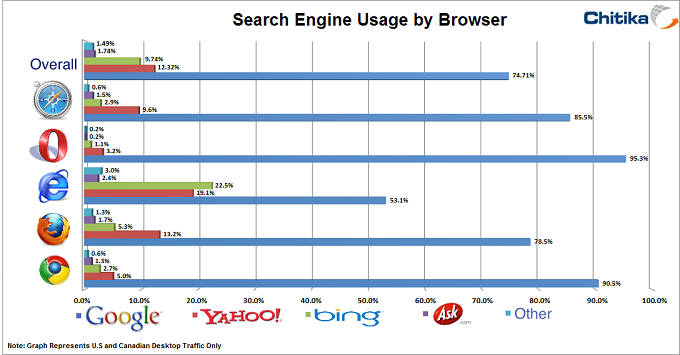 Despite being the default search engine choice on Internet Explorer, Bing still holds far less share than Google. Google Search is also still the overall winner, holding a 74% share of searching across Safari, Opera, IE, Firefox and Chrome. The figures come from a Chitika study using a sampling of hundreds of millions of ad impressions from August 14th to August 20th. The results show that Google holds a massive majority on Chrome, only exceeded by its share on Opera, which hits the 95.3% mark. The Internet Explorer share was still at 53% despite Bing being the default option. 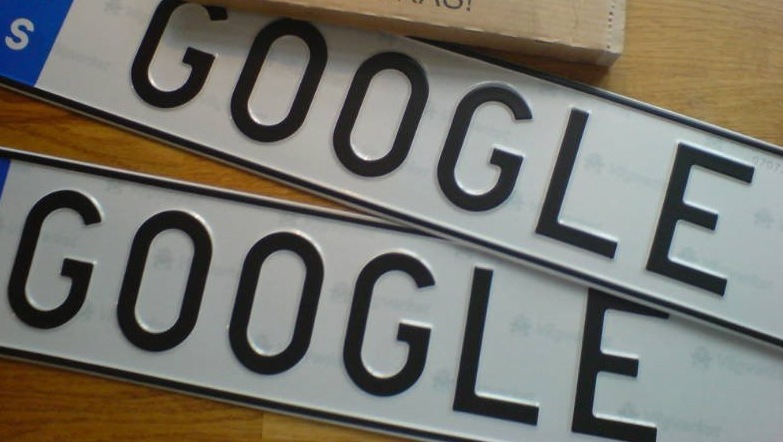 This means that over half of users either change the default or visit Google to make search queries, rather than just using the stock built-in option. Bing’s advantage as the default still definitely helps its share on IE though, as its next closest share is on Firefox, at only 5.3%. Yahoo is the second-place engine by far, at 12.3% and Bing follows up closely with 9.74%. The disparity between those numbers and Google’s demonstrates handily that there is no close competitor to Google in terms of consumer mindshare yet.